Content and asset management has become more complicated. Mary Roberts, Senior Vice President of The Platform explained to me at the TelcoTV trade show that television service provides of all kinds are experiencing new asset management challenges. Some of the key asset management challenges include new media formats, asset packaging options (thumbnail images, trailer videos, social media), content rights enforcement (business rules), and presentation players (varying capabilities and interfaces). 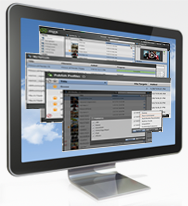 For example, one program title used to have 6 media items – cover, thumbnail, description, trailers, and content. Now a typical program package has 25 to 30 media items – many of them for additional social media channels which continue to dynamically change. To help solve this challenge, The Platform has developed a video management platform that can automate the entire publishing process from file selection, transcoding, and applying asset types, to file movement to the right location, fulfilling almost any endpoint requirement.